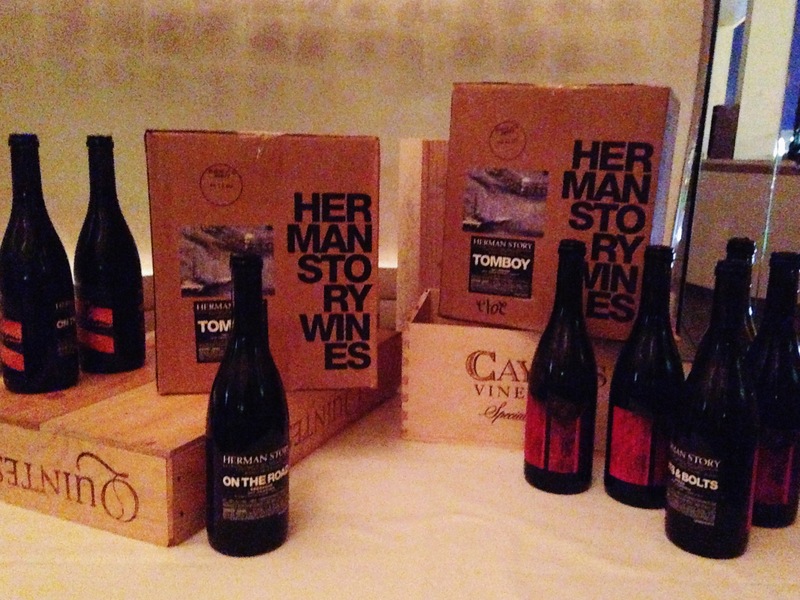 Last week miX Restaurant, located at the the top of the Mandalay Bay hotel, hosted a dinner with both Firestone Walker Brewing Company and Herman Story Wines. Russell From, owner and winemaker for Herman Story, was present. 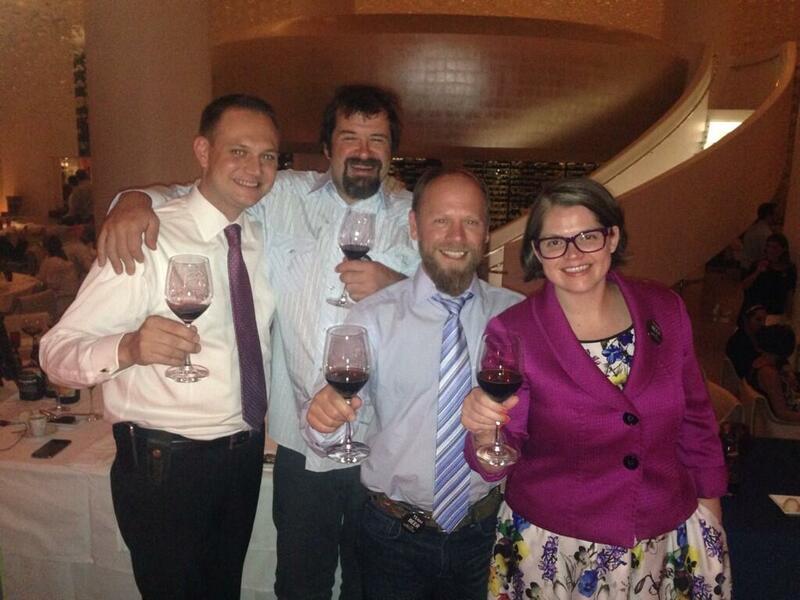 Russell, along with Mandalay Bay’s Director of Wine, Harley Carbery, represented Team Wine. 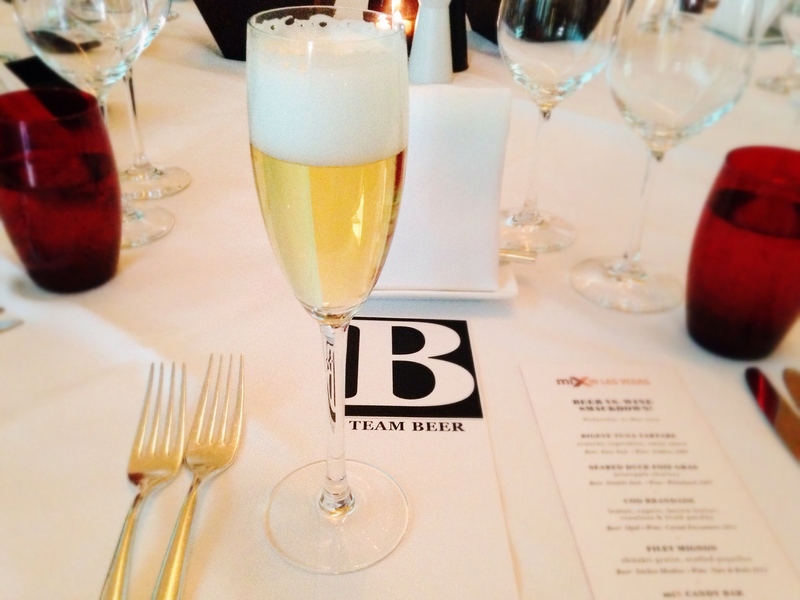 Team Beer was represented by Matt Brynildson, brewmaster for Firestone Walker, and Mandalay Bay’s Director of Food and Beverage, Sarah Johnson. What’s interesting to me in all of this, is that I’ve heard from several normal people (random people I don’t know well who don’t work in the beverage industry) how surprising it is to hear that there is such thing as beer pairing dinners. As a big fan of both beer and food, I’m personally thankful that such a thing exists. Furthermore, serving beer paired with food in an upscale environment, such as miX, does not feel forced or unnatural in anyway. I enjoyed drinking Easy Jack when it was paired with the tuna tartare in the first dish, and I enjoyed it at the recent Great Vegas Festival of Beer while eating street corn. Just because it comes in a 12 oz bottle does not mean that there’s no place for beer in fine dining. And to those who cry foul about the “winification of beer,” relax. No one is stopping you from mixing Westy XII with orange juice, or drinking Black Tuesday with tacos. My point is, beer is perfect for any occasion, if it’s meaningful to you. Besides, wine isn’t exclusive to only fine dining, is it? I’ve personally drank wine from not only proper stemmed glassware, but also paper cups, plastic cups, and even water bottles. I’ve drank wine for anniversaries, graduations, and birthdays, but also while watching tv or hiking. Both beer and wine have their place, and each can learn from the other. 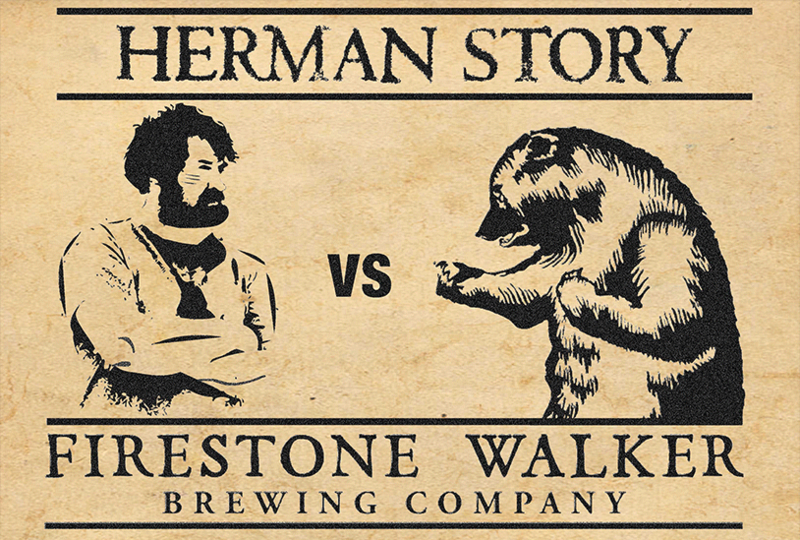 Despite the playful antagonizing between both Matt Brynildson and Russell From, they have previously collaborated, with Russell contributing to the blending of several of Firestone Walker’s anniversary beers. If you’ve never been to either a wine, or beer pairing dinner, I highly recommend attending one at some point. It’s a very unique dining experience that can help you to see both food, and beverage in a new light. Chef Bruno Riou created an incredibly diverse and flavorful menu for the evening, with each dish paired with both a beer and a wine. The full drink and food menu can be found here. I found that for me personally, I preferred beer for the lighter dishes; like the tuna tartare and foie gras. Both of these were paired with white wines, which while they did match the flavors very well, the increased alcohol content of the wine overpowered the dishes, causing an imbalance of flavors. The wine did however prove to be a perfect match with the cod brandade. Despite conventional wisdom, a Syrah was paired with the cod. The saison from Firestone Walker seemed like the obvious choice here, however the buttery cod was so intensely flavored, that it overpowered the Belgian yeast characteristics of Opal! Instead, Casual Encounters matched the intensity of the dish and offered a contrasting oak filled aroma with flavors of dark stone fruits. This was my favorite wine of the evening. 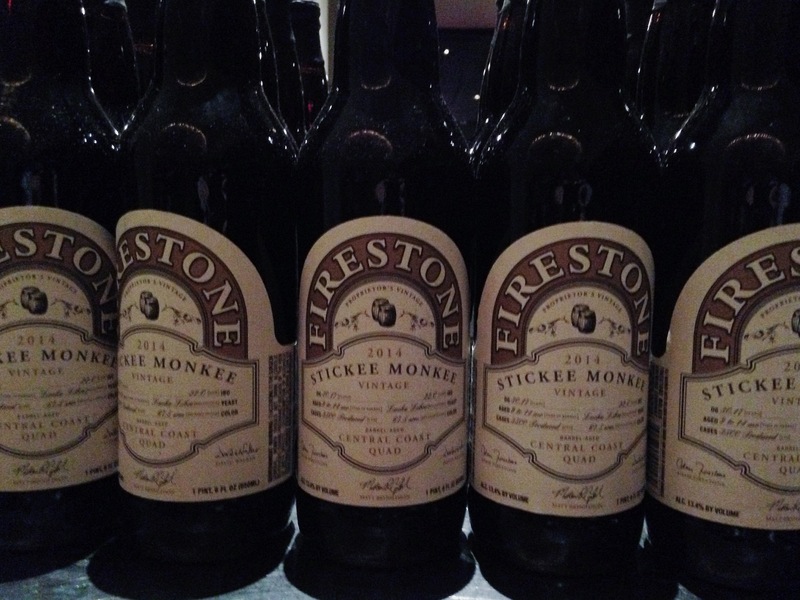 Of course, this being a beer website, I’d be remiss to not tell you about Stickee Monkee. The beer was incredible! It’s a Belgian quad aged in bourbon barrels and it tastes like a Milky Way candy bar. There’s layers of brown sugar, coconut, vanilla, and molasses. It’s a beast of a beer and it is damn delicious! 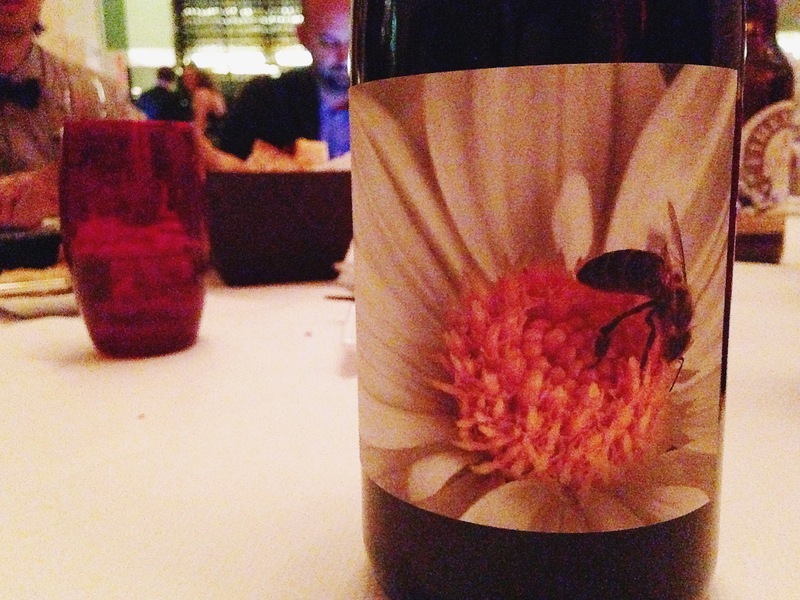 Even all the wine drinkers at my table were raving about this beer and they cheered their support for this beer. 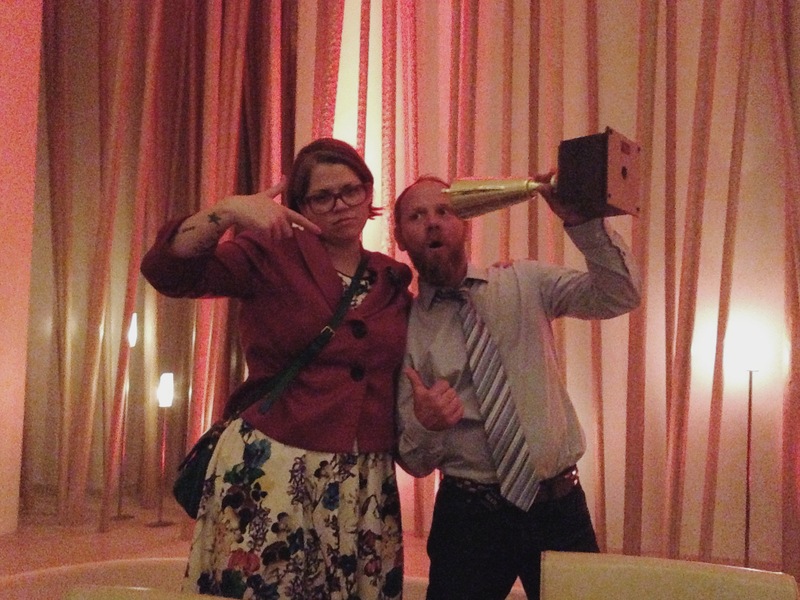 I am happy to report that in the end, the crowd voted for Team Beer as the winner for the evening! Thank you Matt Brynildson, Russell From, Sarah Johnson, Harley Carbery, and Mandalay Bay for an awesome evening full of delicious food and incredible beers and wines!